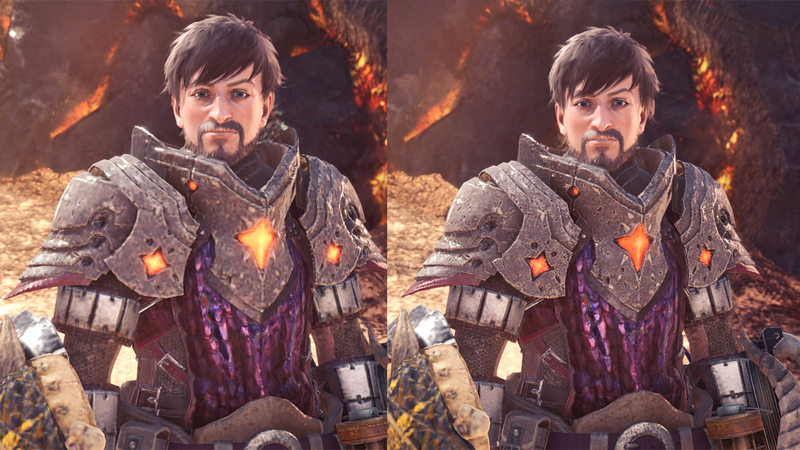 Monster Hunter World has been released earlier this month on PC, but the port comes with a few issues that Capcom has yet to fix. Thankfully, modders are finding ways to do so before an official fix gets released. A couple of days ago, MHVuze released the Crude Low Texture Resolution Workaround mod, which improves texture quality considerably in some cases. Currently adresses player, armor, NPCs and weapons. Tested and working with game build 151910. Use at your own risk! Play in offline mode if you fear a ban or whatever. Then, after the steps below are completed, copy back the contents of that renamed folder to nativePC. If you have to overwrite texture files in the process, those will likely suffer from the low resolution issue again. I can’t and won’t guarantee compatibility with mods touching NPC/weapon/player/armor stuff. Monster Hunter World is now available on PC, PlayStation 4 and Xbox One in all regions.